Tamlite is proud to be a UK manufacturer of high-performance and high-quality lighting products. As a result of our best-practice and rigorous testing procedure, Tamlite products are as good as it gets. 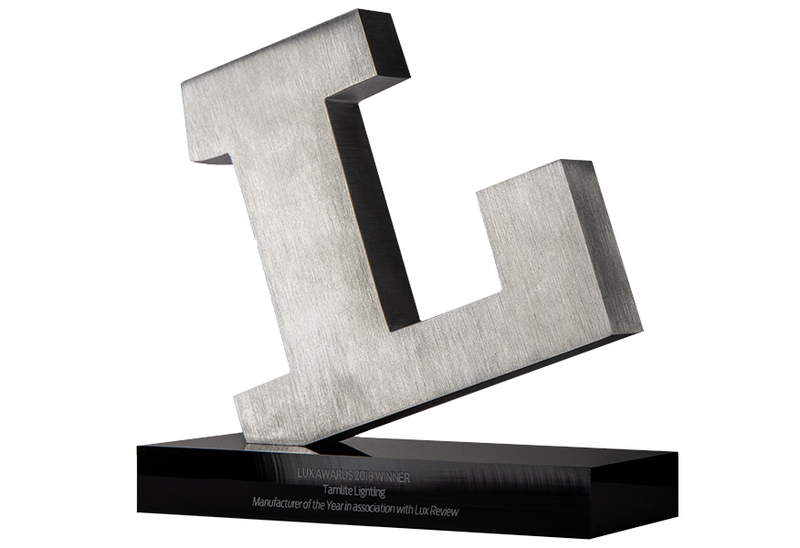 Tamlite won the Lux 2018 ‘Manufacturer of the Year’ award – awarded to ‘the lighting manufacturer which has shown exceptional performance and innovation in 2018’. the Award judges recognised Tamlite’s impressive achievements over the last year. This includes a c. £1M investment in Surface Mount Technology since 2016 at its Tamtec Electronics division; and major product launches. Judges were also impressed by Tamlite’s 2017-18 investment in a new route to market, which has seen the company targeting architects, designers and specifiers. 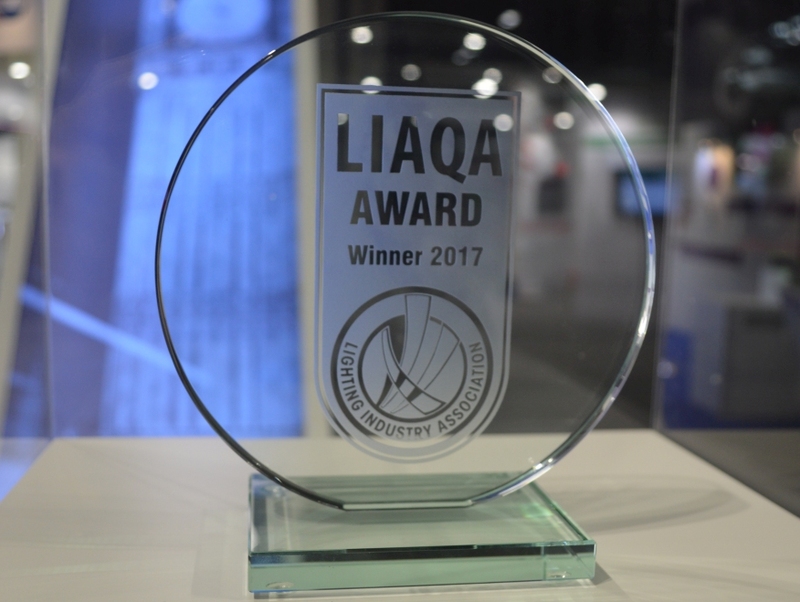 We are pleased that our commitment to quality was recognised, as we received accreditation from the Lighting Industry Association (LIA) through winning their inaugural national award for Quality Assurance. It is satisfying that we have been acknowledged for our expertise in creating innovative lighting products, as well as our effort and desire to ensure that these products were right for our customers. Tamlite won the Project of the Year – Lighting Award at the Electrical Industry Awards 2018, for the lighting installation at the new CEF IT building in Durham. This is a huge honour for Tamlite, working in partnership with CEF and in recognition of the efforts of our Projects and Specification Team. The new building utilises the latest Tamlite office, communal and urban lighting solutions to create a holistic working environment for CEF employees. The Carbon Trust Accredited Supplier scheme provides independent validation and recognition of a supplier's skills and services. The scheme is designed to help end users wanting to implement energy saving projects and select a trusted supplier with a proven track record in designing, supplying, implementing and commissioning energy saving projects. What does this mean to business? As a Carbon Trust Accredited Supplier, Tamlite is able to offer the Green Business Fund to SME clients (firms with up to 250 employees). As a Tamlite customer you could receive a capital contribution of up to 15% of the project cost, up to a maximum of £5,000 (2017 data). More information on the Green Business Fund and the Carbon Trust contact us or visit the Carbon Trust website. Under the Waste Batteries and Accumulator Regulations 2009, Tamlite Lighting is a "producer" of “industrial” batteries [nickel cadmium, and nickel metal hydride types] and is obliged to take back end of life batteries that we have supplied to any of our customers – or in certain, extraordinary cases other end users – for free of charge proper disposal. Once the user has identified Tamlite Lighting as the supplier of the batteries they should contact Tamlite Lighting to obtain the necessary authority. Once authority is obtained please ensure that any returned batteries are returned in a safe condition with leads removed and any bare terminals insulated to prevent the risk of fire due to arcing of battery contacts. It is the user’s responsibility for the safe return of the batteries and for any costs incurred in returning the batteries to Tamlite Lighting. On receipt of any authorised end of life batteries Tamlite Lighting will take full responsibility for the proper disposal of the batteries via our established subcontractor Electrical Waste Recycling Group.